Blind from birth, John Vandertuin began studies in music at the Ontario School for the Blind in Brantford, Ontario. He continued studying with Jean Langlais in Paris and later with Piet Kee at Amsterdam’s Sweelinck Conservatorium. Other organ teachers have included John McIntosh, Larry Cortner, and Robert Glasgow. Active as a composer and recitalist, he has won several competitions as well, including first prize in the Improvisation category of the National Healey Willan Organ Competition (1980) and second prize in the San Anselmo (California) Improvisation Competition (1987, 89). He was invited twice to compete in the International Improvisation Competition in Haarlem, the Netherlands, one of only two Canadians ever to receive this invitation. Posted in Organist. Tagged Amsterdam, Canada, Canadian, Haarlem, Jean Langlais, John Vandertuin, Ontario, Piet Kee. 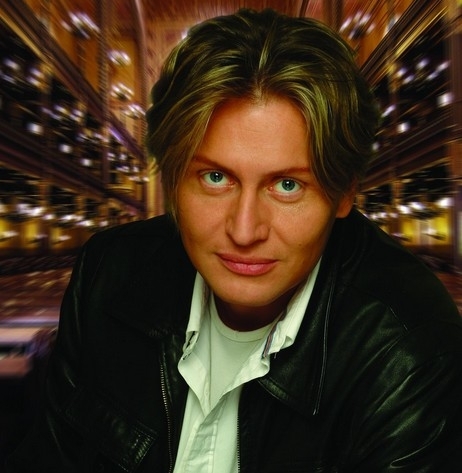 Xaver Varnus is a Hungarian-born Canadian organist, improvisor, writer, and television personality. His first piano teacher was Emma Németh, one of the last pupils of Claude Debussy. At sixteen, he undertook his first concert tour of Europe. In 1981 Varnus left Hungary to study with Pierre Cochereau in France. Over the course of his short career, Xaver Varnus has played to more than six million people worldwide, recorded 51 albums, made sixty concert films, and written five books. Posted in Organist. Tagged Canadian, Claude Debussy, Emma Németh, Hungarian, Paris, Philadelphia, Pierre Cochereau, St. Eustache, Stokowski, Wanamaker, Xaver Varnus, YouTube. A multi-award winner, Jan Overduin won the Healey Willan Prize in 1963; the International Organ Competition in London, Ontario (1967), second prize and finals in improvisation; the Festival of Flanders International Organ Competition in Bruges, Belgium (1970), finals; and the St. Alban’s International Organ Competition (1973), shared main prize, finals in improvisation, and the audience prize. He has been the recipient of several Canada Council awards for studies abroad during the 1960’s, allowing him to study with, among others, Marie-Claire Alain, Jean Langlais and Peter Hurford. 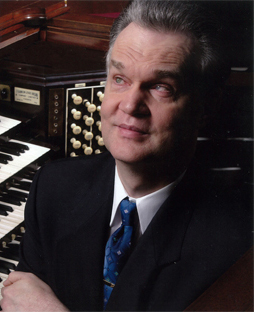 Jan Overduin was University Organist and Professor (and Chair) of the Organ and Church Music Department at Wilfrid Laurier University in Waterloo, where he also conducted the WLU Chapel Choir. He served as Director of Music at St. Matthews Lutheran Church in Kitchener for over 12 years, and as Director of Music at First United Church in Waterloo, where under his supervision a 44-stop tracker-action organ by Gabriel Kney was installed in 2004. In 2005 the Kitchener-Waterloo Arts Foundation honored him with its “Lifetime Achievement Award”. 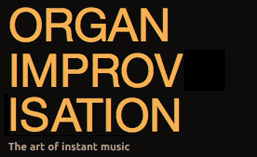 In his book, Making Music: Improvisation for Organists , Jan Overduin shows that improvisation requires neither a virtuosic command of the instrument nor a magisterial command of music theory. These simple but satisfying, loosely-graded, exercises are aimed at bolstering self-confidence and enable the student to improvise from the start. Posted in Organist. Tagged Book, Canadian, Jan Overduin, Jean Langlais. Organist, conductor, pianist, coach, producer, educator, and composer Justin Bischof won first prize in the 2000 American Guild of Organists National Improvisation Competition held in Seattle. He received a doctor of musical arts degree from the Manhattan School of Music in 1998 where he studied with McNeil Robinson. Posted in Organist. Tagged American, Canadian, Manhattan School of Music, NCOI, New York, YouTube.